The Second Best Things in Life: Tell thyself...Thee art Fabulous! If you don't say it, no-one else will. 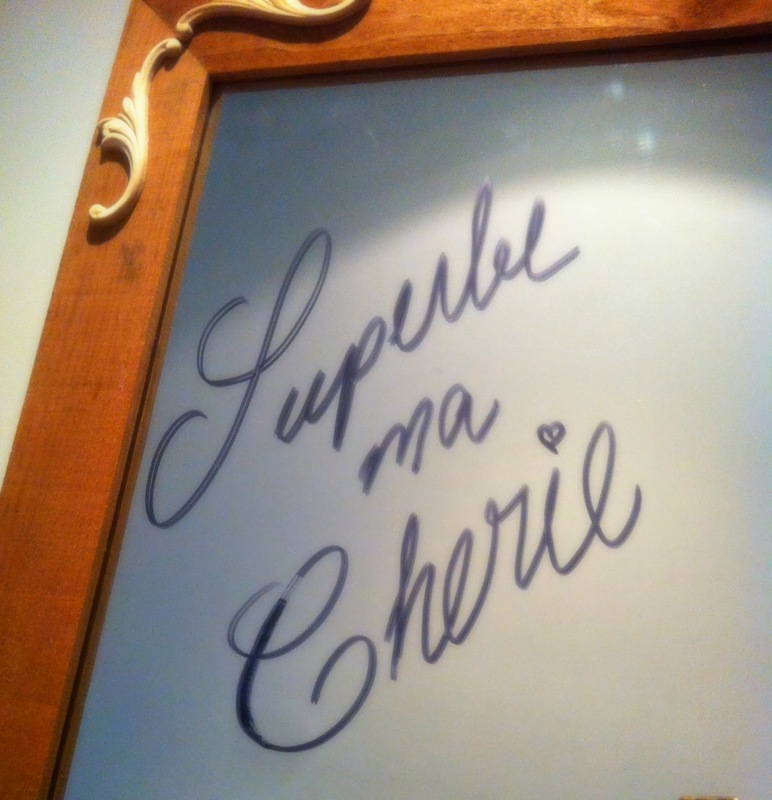 A bit o' French Script-ish writing on a hallway mirror to remind daughter (and sometimes, self), that she is fabulous. Treat yourself to a sweet message on your mirror, and walk out the door each day with a spring in your step and a smile on your face.